Lloyd will just keep throwing money until he buys another cup. Lloyd’s ranks are looking a bit thin for the Melb Cup this year. With doubts over LATROBE (7th in order of entry) making the trip down under, the only other horse he’s presently got qualified is THE TAJ MAHAL (23rd). His next highest ranked horse is VENICE BEACH at 51st. The likes of HOMESMAN & co are going to have to lift over the next month to make it 3 Cups in a row for the Navy + White Armbands. His recent sales suggest to me that he is taking this year off, and readying for next year. Six-time Melbourne Cup-winning owner Lloyd Williams could be one of the big winners out of the Federal Government's decision to allow international horses out of the Werribee quarantine centre a day earlier than is normal policy. Williams, who is aiming at securing a third-consecutive Melbourne Cup win next month, confirmed on Wednesday that he had purchased 50 per cent of the Aidan O'Brien-trained Cliffs Of Moher and 100 per cent of stablemate Yucatan. The Melbourne Cup fortunes of both horses could hinge on them running on Caulfield Guineas Day on October 13, the day they are scheduled to be released from quarantine. Cliffs Of Moher, who is currently sixth in line for a Melbourne Cup start with 56.5kg, is expected to take the same path to the Melbourne Cup as did last year's runner-up Johannes Vermeer, who kicked off his Australian stint with a Caulfield Stakes run before backing up into the Caulfield Cup a week later and then onto the Melbourne Cup 17 days after that. Yucatan, who is 72nd in order with just 52kg in the Melbourne Cup, is expected to try and clinch a Cups berth via the G2 Herbert Power Stakes (2400m) on Guineas Day. The Department of Agriculture and Water Resources confirmed on Wednesday morning that it would allow the 24 horses currently serving their quarantine period to be released on Caulfield Guineas Day after 13 days instead of the compulsory 14. Nineteen of them had to sit on the tarmac at Sharjah in the United Arab Emirates for nearly 20 hours last weekend due to a cracked windscreen and they did not arrive in Melbourne from Europe until Sunday, which left just 13 days until the Caulfield Guineas meeting. Williams has a handful of locals aiming at the Cups including 24th-placed The Taj Mahal, as well as Underwood Stakes winner Homesman, who needs to run top four in the Caulfield Cup to qualify for a run in the big one at Flemington. However, Williams' Melbourne Cup hand could strengthen noticeably depending on which horses currently in quarantine in Europe step onto the plane for Melbourne late next week. He already has the Irish Derby winner Latrobe in quarantine and may yet be involved in the ownership of O'Brien's trio of Idaho (ninth in order), Rostropovich (19th) and the unqualified The Pentagon. None of those sold were contenders this year anyway, hence why they were sold. Lloyd wants to won the cup every year! Only Midterm left in the cup from the Howley team and he needs to win the Lexus Saturday, he's on the edge of even getting a run, of course he also has Yucatan and Cliffs of Moher with AOB so still has a good hand, just won't have a quarter of the field like the last couple of years. And Afros that is why I said he is taking this year off. 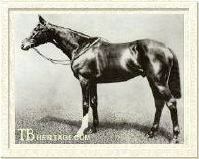 I do not believe either of those O'Brien horses will win, they might run well, but if Lloyd was serious about this year he would have run Midterm in the Bart Cummings, and not the Metrop, and they would not have sent The Taj Mahal around in the Caulfield Cup. I think Lloyd knows that his Australian trained horses were not up to it. He is relying on the two of AOB's, and if he wins, all well and good, if doesn't, next year is yet to come. I don't buy into that idea, Lloyd loves winning the cup,I don't think he'd purposely take a year off, he has a runner in the Metrop every year anyway so Midterm running there is not unusual. Steps, Venice Beach and midterm were his prospects.. what happened? What happened to US Army Ranger? Only had the one run and then vanished. Beaten Melbourne Cup favourite Yucatan will not race again until next autumn but part-owner Lloyd Williams may still have one big race in mind this year with confirmation two high-profile members of his team will make the trek to Hong Kong for next month's international meeting. The six-time Melbourne Cup-winning owner confirmed on Wednesday that the Joseph O'Brien-trained pair of Latrobe and 2017 Melbourne Cup winner Rekindling will travel to Hong Kong on their way back to O'Brien's stables in Ireland, but he is unsure whether either will start. Latrobe carries an entry for the Hong Kong Vase (2400m) but Rekindling, who has not been seen for more than 12 months since his Cup success, is not entered in any of the international features for the December 9 meeting at Sha Tin. Yucatan, who was beaten into 11th place on the wet track in last Tuesday's Melbourne Cup as the $6 favourite, was among the entries for this Saturday's $301,000 Zipping Classic (2400m) at Sandown but Williams confirmed the horse will instead spell for the autumn after just two runs this spring. The Williams team will be represented in the eight-horse race named after one of the stable's most-loved gallopers by last year's winner The Taj Mahal and the Australian maiden Sir Isaac Newton. It’s verging on 3 months since the stable has had a runner. I totally understand that Lloyd’s prime objective is the Melb Spring staying races, and that’s fine for the likes of Taj Mahal, Jo Vermeer, Homesman & Yucatan. 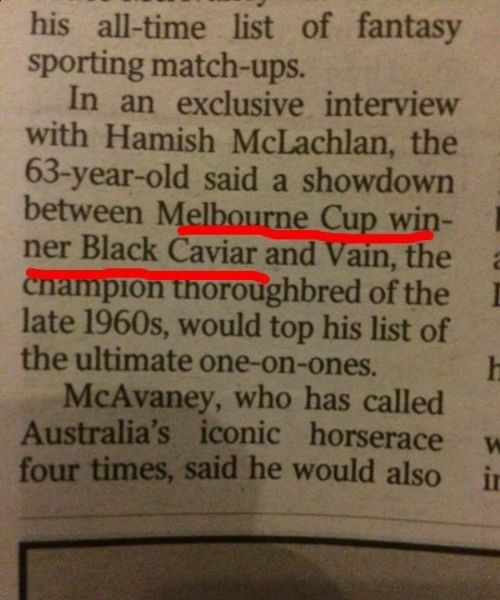 The Melb Cup obsession, I totally understand. But he’s got plenty of imported stayers that are never, ever going to measure up to the big Spring Cups. What’s going on with the likes of Midterm, Harrison, US Army Ranger & Belgravia? They’re talented stayers and would be perfect contenders for 2nd tier staying races over the next few months - eg: Lord Reims Stks, Adelaide Cup, Mornington Cup, etc. But instead they’re just all killing time at Macedon Lodge. He’s even got at least 3 or 4 Euro horses that were imported in 2016 & 2017 that are still yet to see a racetrack here in Aust. Surely they’re not all crocks? The silver spoon buffoon does bleat a fair bit about track hardness. Stable will have its first runner for just on 3 months today. Latin Beat (Ire) in the 1800m race at Sandown today. They’ve got Taj Mahal & Midterm entered for Caulfield on Sat. And Latin Beat duly salutes. Bit like a few around here? Lloyd Williams is so far and away the best trainer in Australia it is not funny. 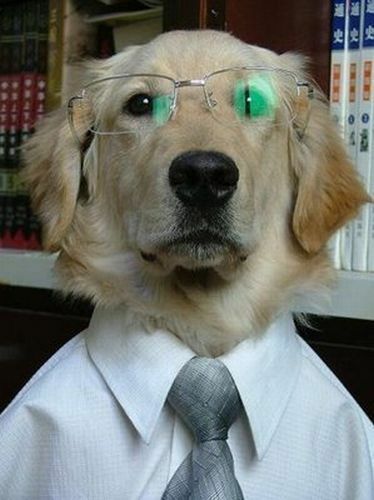 He has more experience then most!! Picked a few brains too in his lifetime, dunno where you would start there but TJ could be prominent, nothing wrong with an enquiring mind and smart investments . I s'pose if you own Harrods your entitled to be the best dressed .